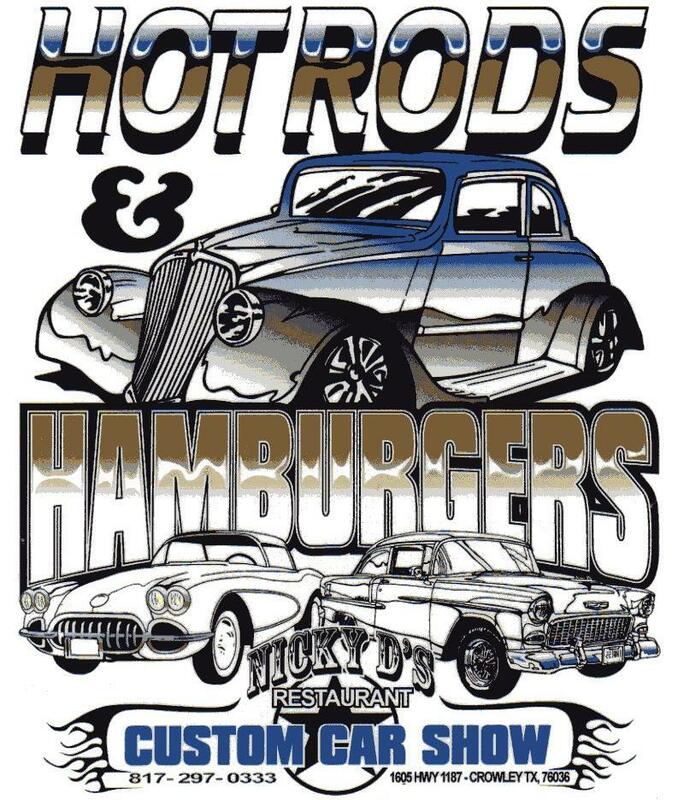 March 30, 2019 Nicky D’s 3–6:00pm, 1605 Hwy 1187, Crowley, TX 76036. This location, of course, offers fantastic food served up by friendly people. Nicky D’s has a reputation for good times and are looking forward to this show. At the intersection of Hwy 1187 & Crowley Plover Road there is plenty of parking at the back of the building. We are expecting a good turn out so come early to get a good spot.